Jennifer is an experienced Health Chief Executive Officer with a background in Executive Nursing, Cardiology and Intensive Care. She is passionate about supporting people to really fulfil their potential. As a health executive she knows and understand from first- hand experience that any health organisation is only as good as the individuals who work within it. Never is this so apparent as when clinicians become managers. 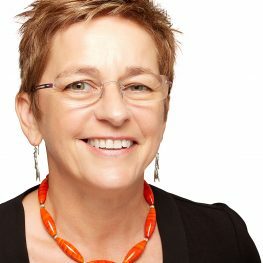 She believes clinicians have a unique place at the table of health service management as they truly are the voice of the patient / client within an increasingly difficult economic framework. High functioning managers are vital to the safety, efficiency and sustainability of any organisation. Assisting someone to become an effective leader and manager in this area gives her as much joy as it does them. Her background stems from nursing most particularly Cardiology and Cardiac Rehabilitation and she has led research in the area of Women and Heart Disease which remains a passion of hers. Her career has given her the opportunity to work in three states and across a wide range of organisations. She has led many national and state-wide projects and participated in several international organisations. She loves politics and governance, and working with the resultant organisational dynamics to turn cultures around to improve patient safety and peoples experiences of their leaders, and their organisations. For Jennifer, C2M gives her a great opportunity to work closely with emerging leaders and support them on their journeys. For more information about her, click here.